Ring measures 2.5 inch diameter x 0.25 inch thickness. 2000 lbs capacity. Zinc plated steel will not rust or corrode. EVERBILT Welded Harness Rings are ideal for heavy duty applications. Welded rings are stronger than non-welded rings. Made for rigging and binding hardware. They can also be used for light duty applications, like dog choke chains, animal leashes, plant hangers and general purpose applications with rope, chain or wire rope. The stainless steel material is strong, rugged and offer the ultimate level of corrosion resistance. EVERBILT welded Harness Rings are ideal for heavy duty applications. Welded rings are stronger than non-welded rings. Made for rigging and binding hardware. They can also be used for light duty applications, like dog choke chains, animal leashes, plant hangers and general purpose applications with rope, chain or wire rope. EVERBILT Simplex Snaps are formed flat spring wire snaps. They are ideal for light-duty, non-load-bearing applications. Use for key rings, lanyards, and other applications where weaight load is not a concern. Can be very useful around the house or shop. The pre-assembled swivel eye elimiates tangling or twisting from whatever is attached. Made from low carbon steel with zinc plating for corrosion and weather resistance. Grabcessories 2-in-1 Tub & Shower Grab Ring prevents falls in two key fall risk zones of the bathroom. This beautiful curved Grab Ring is disguised to seamlessly integrate into your bath decor, mounting around the Hot/Cold Shower Valve Plate to hold onto while standing under the shower or around the Tub Spout to assist all ages when rising from and declining to seated position in the tub. The Grab Ring is ADA compliant, constructed from non-corrosive stainless steel, includes no-slip rubber grips, supports up to 500 lbs, and offers a sleek curved design to blend in with your existing fixtures. All LiveSafe Hollow Wall Anchors (2) and Stud Mount Hardware are included so you can locate Grabcessories anywhere you like on your wall. FINALLY, beauty, safety, affordability and independent living combined! 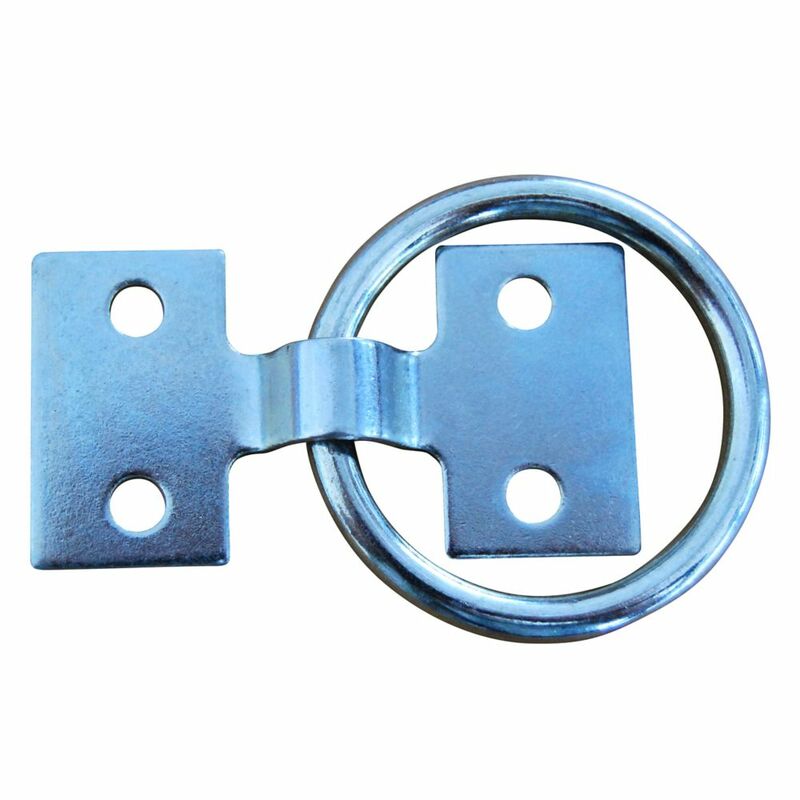 Zinc Plated Dock Ring, 2 Inch Ring measures 2.5 inch diameter x 0.25 inch thickness. 2000 lbs capacity. Zinc plated steel will not rust or corrode.